Learn how to use NumPy for simulations in this tutorial by Alvaro Fuentes, a data scientist with an M.S. in quantitative economics and applied mathematics with more than 10 years of experience in analytical roles. NumPy, also known as Python’s vectorization solution, is the fundamental package for performing scientific computations with Python. It gives you the ability to create multidimensional array objects and perform faster mathematical operations than you can with base Python. It is the basis of most of Python’s Data Science ecosystem. Most of the other libraries that you use in data analytics with Python, such as scikit-learn and pandas, rely on NumPy. Now here’s how to use NumPy in a real-world scenario. Here are two examples of simulations using NumPy, and in the process, you’ll also learn about other operations that you can do with arrays. You can look into a coin flip or a coin toss simulation using NumPy. For this purpose, use the randint function that comes in the random submodule in NumPy. This function takes the low , high , and size arguments, which will be the range of random integers that you want for the output. So, in this case, you want the output to be either 0 or 1, so the value for low will be 1 and high will be 2 but not including 2. Here, the size argument will define the number of random integers you want for the output, that is, the number of coins you’ll flip, in this case: Assign 0 as tails, 1 as heads, and the size argument as 1 , since you’ll be flipping one coin. You’ll get a different result every time you run this simulation. When you run the cell, you’ll get the first five rows of the matrix, and the result will be different every time you run the simulation. Note that the first five rows are the first five results of the 10 coins that you flip, out of the 10,000 results in the actual matrix with 10,000 rows. In the preceding screenshot, you called for the first 25 elements in the array, which contain the number of heads in every experiment. NumPy also provides arrays with some useful methods for performing statistics, such as mean, median, minimum, maximum, and standard deviation. Using the mean() method, you will get the mean or the average of heads in all the experiments. The median() method will give you the median value for the total of heads from the experiments. You can use the min() and max() methods to get the minimum and maximum number of heads that you can get in your experiment. The std() method will calculate the standard deviation of the array counts. Note that the output details for this section will be different every time you run the experiment. So do not be dismayed if your output doesn’t match those mentioned earlier. The preceding screenshot depicts the details of the experiment ran earlier; you can see that you got 0 heads 5 times, 1 heads 94 times, and so on, and also the percentages. When you run the cell or the simulation, you get an array of values that are the returns for the first 20 days. You will also get some negative and positive returns, just like in normal stocks. Now, suppose you have initial_price as 100; to calculate all the prices for all the following days, you can apply initial_price times the exponential function of the cumulative sum of the returns. 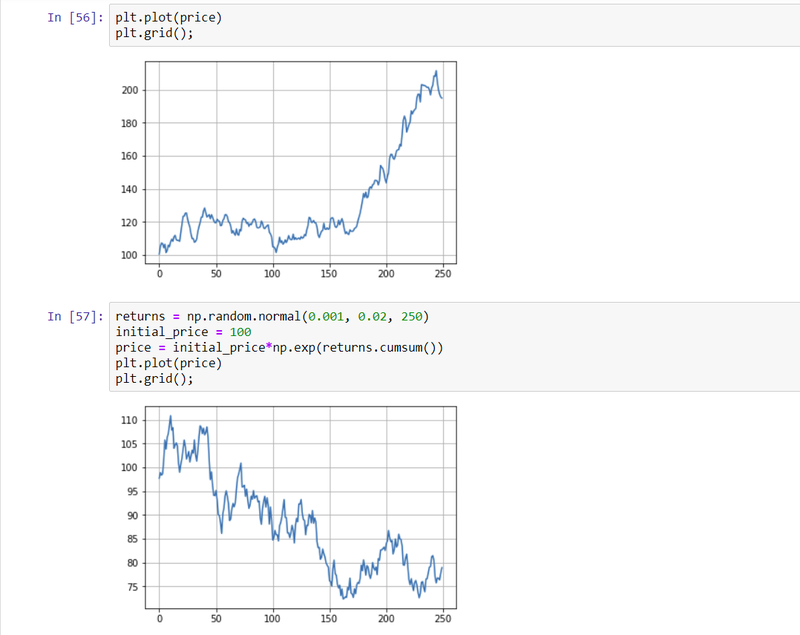 In the preceding screenshot, the stock started at a price of 100, and the evolution is plotted in the simulation. You have the same code, everything in one cell, and every time you run the cell, you’ll get a different simulation. 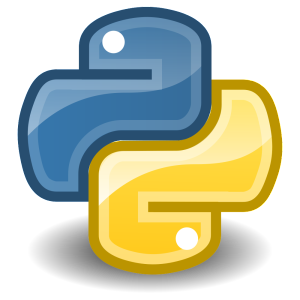 If you found this article interesting, you can explore Alvaro Fuentes’ Become a Python Data Analyst to enhance your data analysis and predictive modeling skills using popular Python tools. This book introduces Python’s most essential tools and libraries necessary to work with the data analysis process, right from preparing data to performing simple statistical analyses and creating meaningful data visualizations. Alvaro Fuentes is a data scientist with an M.S. in quantitative economics and applied mathematics with more than 10 years of experience in analytical roles. He worked in the central bank of Guatemala as an economic analyst, building models for economic and financial data. He founded Quant to provide consulting and training services in data science topics and has been a consultant for many projects in fields such as business, education, psychology, and mass media. He has taught courses to students in topics such as data science, mathematics, statistics, R programming, and Python. He also has technical skills in R programming, Spark, PostgreSQL, Microsoft Excel, machine learning, statistical analysis, econometrics, and mathematical modeling.